Oscar's space under construction, here is a look at our room aka new pink cave and some pretty home buys. This mug from New Look is so gorgeous, I was in love at first sight. I originally ummed and ahhed over them for so long, before deciding I couldn't spare the cash for mugs at that moment. I instantly regretted it. They had sold out online at that point so I ended up back in store for them! I love the pastel bohemian design and the picture doesn't do it justice but it is of the most beautiful beige hue with dusky pink accents. They retail at £6.99 each and are so worth it! They are huge and I am currently using one as a trinket dish. This candle from Asda George is of such an amazing size and I love the frosted glass. 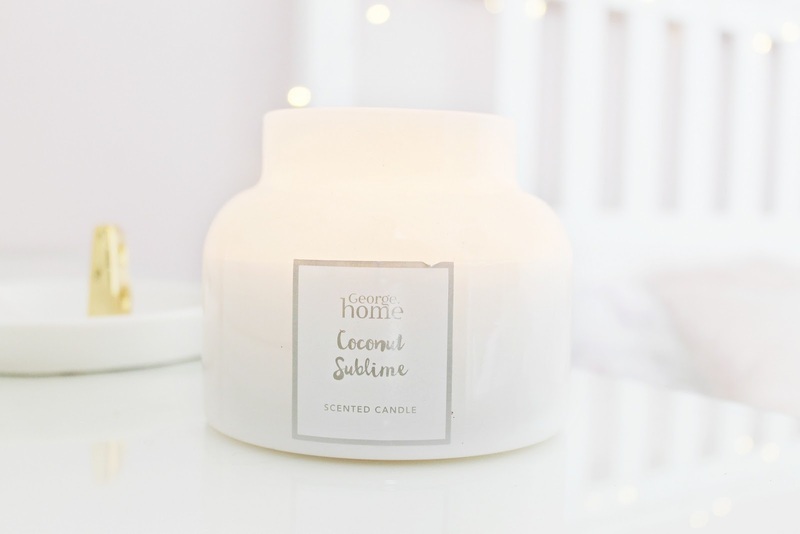 I was gifted this by Mitch's parents for my birthday and it smells like sweet, delicate, milky coconut, a reminder of summer. I finally got her! 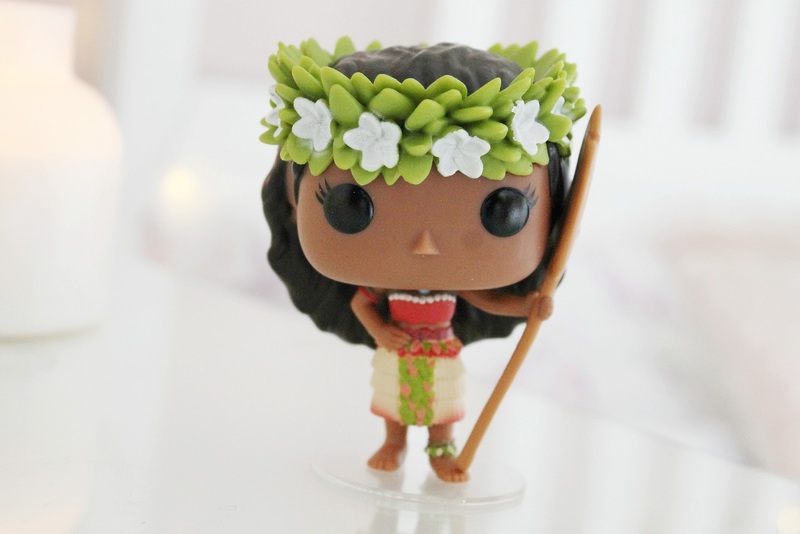 I treated myself to Funko Voyager Moana as an early birthday present after finding her on ebay, a birthday treat to me from me. I'm so happy she's my first one and I can't wait to collect more! 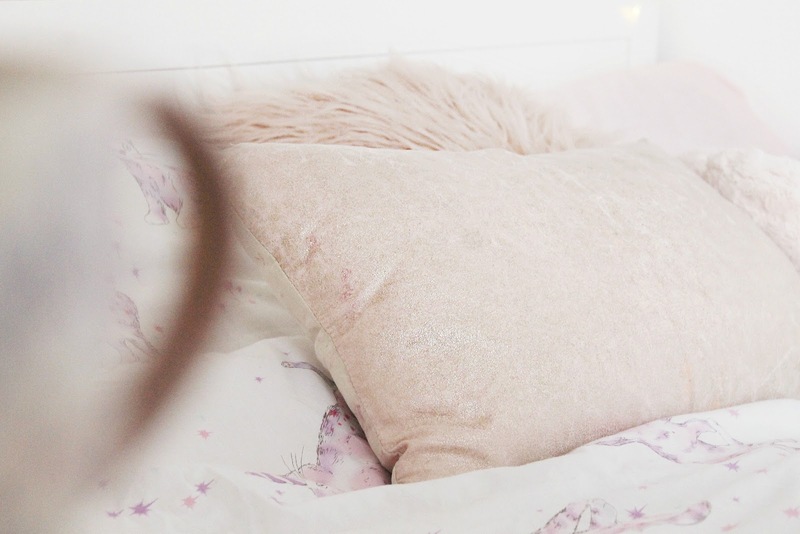 I have managed to cart over all my favourite pillows, including this rose gold number from Primark and the adorable caticorn bedding I featured here. I'm so happy to have found my dream headboard in IKEA's Hemnes frame, I can't stop staring at it. It's perfect to wind fairy lights around to create the perfect cosy atmosphere. 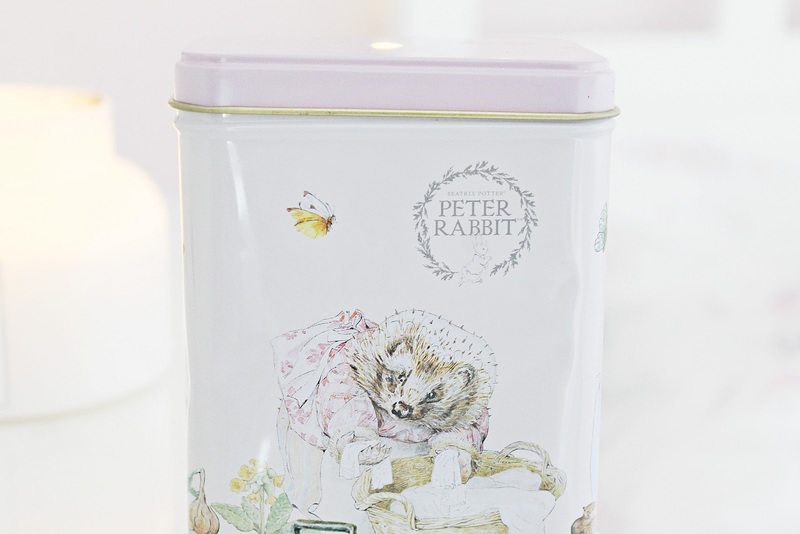 I found this pretty little tin of tea bags in TK Maxx for only £3. It has a tiny dent in it so I bought it reduced and it is adorned all over with Beatrix Potter's little characters, like Mrs Tiggywinkle. So darling! 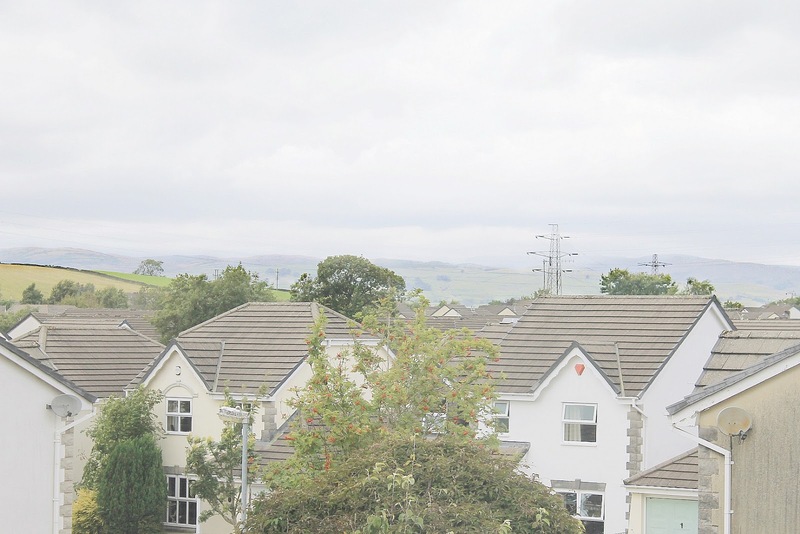 The houses here are like doll houses, they are so beautifully kept. See the fells in the distance coated in pre autumnal mist. It makes me so happy to think we can have our own front door I can paint, grow roses around! 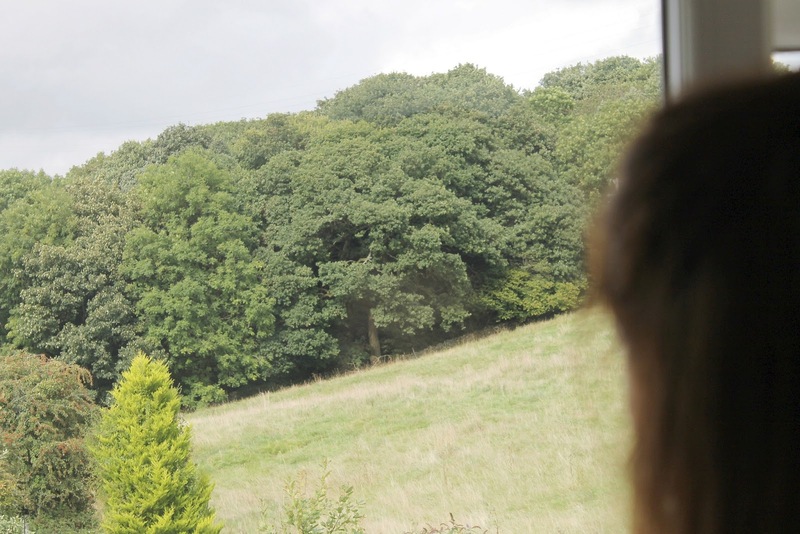 My bedroom window leans out over the fields and Bluebell woods, the perfect place to spot deer grazing and frolicking. There is even a beck bubbling nearby; I feel right at home, it is almost like my Grandma's garden! Omg I love the interior design! So inspirational! Lovely photos and what a view! Your house looks gorgeous!! Looking forward to seeing more of your decor. It seems like you've just found the perfect home for you! I'm happy you're enjoying your new place so much, getting your own house must be such a dream and a big step to take. The view from your bedroom is the best, I can definitely picture little squirrels running around! Great post dear! Amazing photos :) I like your blog! Beautiful! 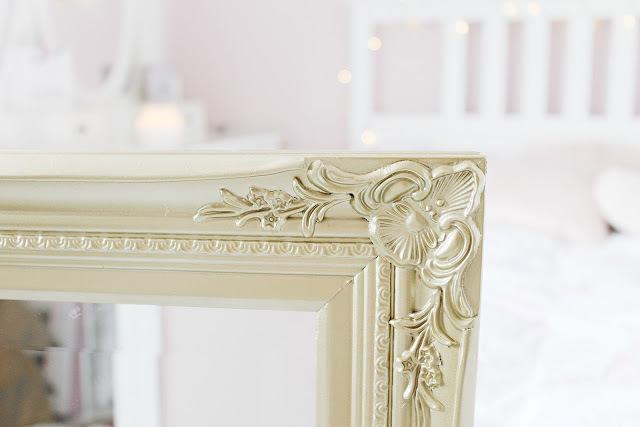 You have such a good eye for interior design - your bedrooms looks absolutely lovely. I can never seem to get our bedroom to resemble anything other than a floordrobe, hahaha! The view from the window looks incredible too! such dreamy romantic interior- just lovely! It look wonderful! So nice colors, love them a lot! You have talent for decorations! Great items! Lovely post! And so great photos! I love the decorations. Your photos are just amazing ! How sweet blog! Perfect decorations. Amazing interior design. I love the colour. Lovely house, congrats for this!! Interior is super awesome! 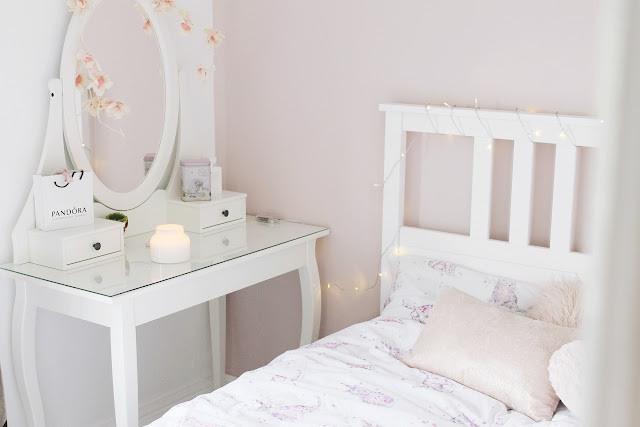 !& dressing table is beautiful. Your house looks so cute and pretty. I can see so much of your style and personality in it already! I loved making our house a home, it's such a fun journey and I know as you're so creative, you'll no doubt have so much fun doing it. 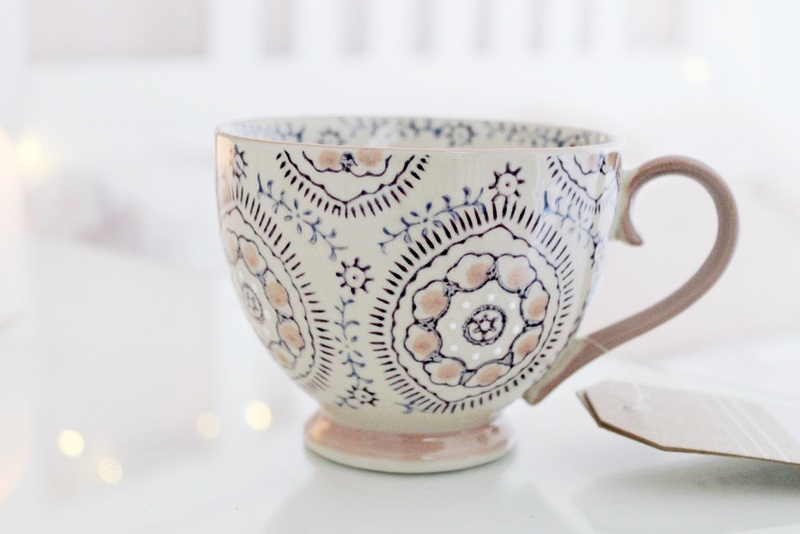 Beautiful pics and beautiful blog! Love these sweet little details and the brightness! So pretty! What a gorgeous house. Lovely colors! I'm following you! This is such a great pictures! I like this post! Love your decorating style - the mug is soo gorgeous. Aww so happy for you girl! <3 I can't wait until we are able to purchase our first home. Excited to see more of your decorating process! Wooow what a lovely room!! Such a beautiful home! I love all the details you showed. Your room is THE BEST! And I love that TK Maxx tin! Could you perhaps do a room tour on this blog? 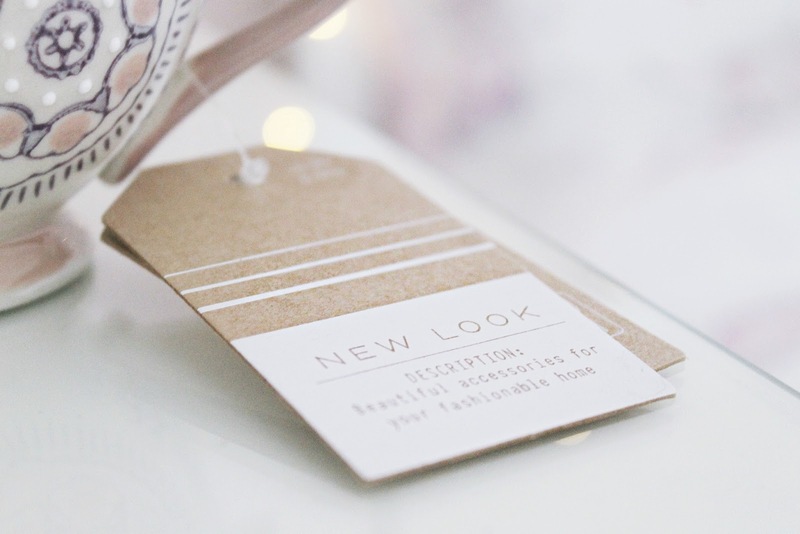 Love your blog style - so tender and feminine! It looks so dreamy! I'd love to live in the Lake District, it's so beautiful. Please show more of your home someday! Graduation is a festive occasion - and one with surprisingly few rules when it comes to how you jadegown champagne wrap dress reviews or what you wear jadegown champange dress reviews. While thinking what jadegown chanel evening dress reviews you wear.